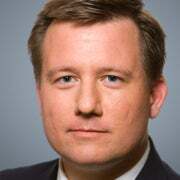 Brett D. Schaefer is the Jay Kingham fellow in International Regulatory Affairs at The Heritage Foundation. Schaefer analyzes a broad range of foreign policy issues, focusing primarily on international organizations and sub-Saharan Africa. Read his research. National security adviser John Bolton didn’t mince words in a speech on Monday as he outlined U.S. policy toward the International Criminal Court. The United States will use any means necessary to protect our citizens, and those of our allies, from unjust prosecution by this illegitimate court. We will not cooperate with the ICC. We will provide no assistance to the ICC. We will not join the ICC. We will let the ICC die on its own. After all, for all intents and purposes, the ICC is already dead to us. 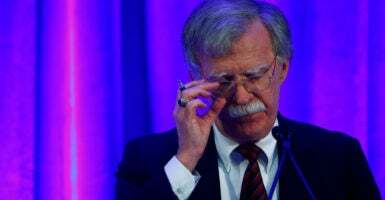 Bolton’s announcement pre-emptively confronted the prospect of an International Criminal Court investigation of U.S. military and government officials. The prosecutor for the International Criminal Court, Fatou Bensouda, announced on Nov. 3 that she had formally requested authorization from the court’s Pre-Trial Chamber to open an investigation into war crimes and crimes against humanity allegedly committed in Afghanistan since May 2003. The next step is consideration by the Pre-Trial Chamber, whose approval is required to launch the investigation. Although a shift in the judges assigned to the chamber delayed the process, approval is considered likely in the coming months. Because the U.S. has not ratified the Rome Statute of the International Criminal Court, its jurisdictional claims are without U.S. consent and an assault on our national sovereignty. The structure of the court lacks proper checks and balances to prevent abuse of power. The crimes over which the court claims jurisdiction are, in some cases, ambiguous and potentially expanding. The existence of the court has not deterred the committing of serious crimes, and it has been relatively ineffective in trying and convicting individuals. The complementarity principle of the court is less a standard than a flexible guideline, as demonstrated by its potential investigation of alleged crimes by U.S. military and government officials, even though the U.S. has investigated these incidents extensively and held numerous individuals to account. Palestinians’ efforts to launch a court investigation of Israeli crimes is politically motivated and undermines prospects for peace. Many of these concerns have spanned multiple administrations. They have led the U.S. to enact legislation restricting U.S. cooperation with the International Criminal Court and negotiate Article 98 agreements to preclude other nations from surrendering, extraditing, or transferring U.S. persons to the court or to third countries for that purpose without U.S. consent. President George W. Bush’s administration, after failing to secure the changes necessary for addressing U.S. concerns, “unsigned” the Rome Statute. Although it pursued a more cooperative relationship with the International Criminal Court, even the administration of President Barack Obama maintained the scores of Article 98 agreements and refused to seek ratification of the Rome Statute. The United States rejects any assertion of ICC jurisdiction over nationals of states that are not parties to the Rome Statute, absent a U.N. Security Council referral or the consent of that state. As an initial matter, and as we have consistently emphasized, the United States is not a party to the Rome Statute and has not consented to any assertion of ICC jurisdiction, nor has the Security Council taken action under Chapter VII of the U.N. Charter to establish jurisdiction over U.S. personnel. It is a fundamental principle of international law that a treaty is binding only on its parties and that it does not create obligations for non-parties without their consent. The Rome Statute cannot be interpreted as disposing of rights of the United States as a non-party without U.S. consent. The United States respects the decision of those nations that have chosen to join the ICC, and in turn, we expect that our decision not to join and not to place our citizens under the court’s jurisdiction will also be respected. These actions are entirely appropriate, as discussed in a Heritage Foundation paper last November. Reiterate that the U.S. will not ratify the Rome Statute and rejects International Criminal Court jurisdiction over U.S. persons. Refuse to cooperate with the investigation. Assert that U.S. investigations should preclude International Criminal Court investigations into allegations against U.S. persons. Take action to prevent surrender of U.S. persons to the court. End all cooperation with, or support for, the court if it proceeds to investigate and seek the arrest of U.S. persons. The decision of the International Criminal Court’s prosecutor to seek a formal investigation into alleged crimes committed in Afghanistan since 2003 creates the sobering possibility that U.S. military personnel and government officials could be investigated and subjected to its arrest warrants. It is appropriate and necessary for the Trump administration to take steps to place our military personnel, our government officials, and our national interests above the interests of an international court whose jurisdiction the U.S. has never acknowledged.